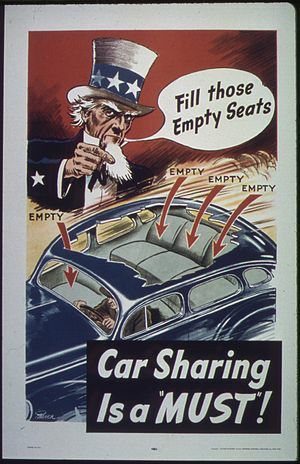 Car Sharing: Coming to an airport near you! ‘s suit against Flight Car is poised to set the precedent for how other airports will classify and charge these new businesses; Boston-Logan and LAX have already said they are watching San Francisco closely to determine how they will respond to car-sharing businesses at their locations. Flight Car already pays to SFO the fees typically associated with off-site parking businesses, and Relay Rides has said they will be paying 10% of their profits to the airport, the typical arrangement for most businesses with airport-focused services. Primarily at issue is the $20 per customer that SFO charges traditional car rental businesses, a fee that both Flight Car and Relay Rides says shouldn’t apply to them. While there are many similarities between Flight Car and Relay Rides, they are far from carbon copies of each other. Where as Flight Car has a lot that can accommodate hundreds of cars, Relay Rides’ facility, which opens August 9th, can accommodate only 30 cars; Flight Car pays any customer who’s car is rented out, Relay Rides does not; Flight Car uses a car service to pick up and drop off customers anywhere within ten minutes of their facility, Relay Rides uses hotel shuttles to get their customers to and from the airport. While starting with a seemingly more modest venture in San Francisco, Relay Rides has already announced plans to open similar facilities in four other airports, including Boston and LAX, two other locations that will put them head to head with Flight Car once again. It’s a shrewd move; by letting Flight Car be the trailblazer by just a few months it’s allowed them to open their business without having to spend the time, energy and capital on carving out a place for themselves in the airport industry, and if a place for car-sharing can’t be made they are looking at far less of a loss on their investment. As yet, there has been no word on whether Relay Rides will file an Amicus brief in the Flight Car/SFO suit to aid in the legal fight to make a place for car-sharing at the airport. Regardless of the outcome, nothing is likely to stop the momentum that the sharing economy is steadily and rapidly gaining. As more and more entrepreneurs invent and re-invent business models, laws and municipalities are going to adapt and embrace these businesses, staying ahead of the curve and pre-emptively making spaces and rules for these businesses instead of lagging behind and only reacting, letting the courts and lawyers decide how to manage the emerging sharing economy. Obviously, the best outcome, both monetarily and societally (I and many others think that sharing-based businesses are great for communities for a whole host of reasons), is for municipal authorities to anticipate these businesses and make a place for them, but the cynic in me (and sadly the vast majority of the stories I’ve written about in this blog) would bet that, at least in most cases, we’ll be seeing a reactive, combative attitude toward these emerging sharing businesses. This won’t stop the sharing economy, but it will slow it down at a time in this country where we should be fostering and cheering for any new innovation that creates jobs, helps the environment, infuses money into local economies and makes life easier for the average person; you know, common sense. But if common sense and government were on speaking terms, we wouldn’t have the bath-salts caucus in congress, so there you go. For now, it seems everyone will have to wait and see how SFO v. Flight Car turns out. But however that pans out, it’s very likely that a car-sharing business, and the opportunity to save hundreds when you travel, will be coming to an airport near you sooner rather than later.